The Munchkins Waving Dorothy Good Bye. The Munchkins Waving Dorothy Good Bye. 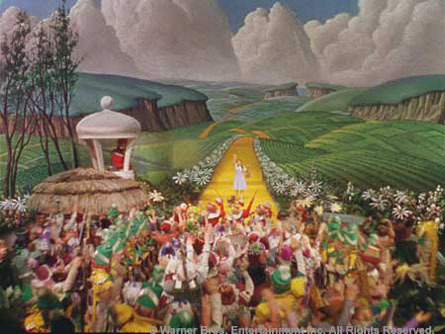 Wallpaper and background images in the Le Magicien d’Oz club tagged: muchkins dorothy yellow brick road photo. This Le Magicien d’Oz photo might contain chapiteau, marquise, and texte défilant.